How do DAS and small cells compare? Telecoms.com periodically invites expert third parties to share their views on the industry’s most pressing issues. 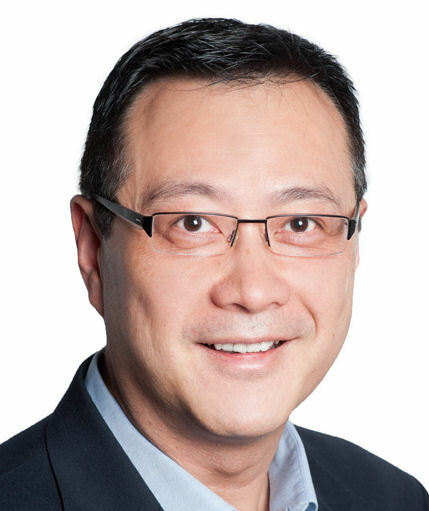 In this piece Patrick Lau of CommScope assesses the relative merits of small cells versus the distributed antenna system. One of the more recent developments in the wireless industry has been the use of ‘small cells’ in order to provide coverage and capacity indoors and out. Whether deployed as standalone networks or integrated with the macro layer to create heterogeneous networks, small cell solutions are touted for their ability to achieve higher radio density and increased capacity. The industry has struggled to define exactly what a small cell is, however. Typically the term refers to femtocells, picocells, metrocells or microcells, which differ in terms of technology and the number of users supported, among other variables. But there are a lot of similarities among these solutions, which is why they are lumped together as small cells. Another, well-established technology that can also be considered a small cell is the distributed antenna system (DAS). There are many similarities between small cells and DAS in terms of power output, coverage areas and size. In fact, DAS is often referred to as the original small cell. But there are also significant differences in terms of how small cells and DAS operate. A DAS is a point-to-multipoint solution in which the DAS headend shares and receives signals with all remote nodes simultaneously within a particular sector. By simulcasting radio channels throughout the building, it creates a single large cell, as opposed to the network of individual cells typical of the various small cell solutions. Centralized power management enables the DAS operator to change the coverage and capacity characteristics of each node in order to respond to changes in the RF environment. As a result, DAS and small cells offer significant differences in terms of functionality, interference issues, capacity, complexity and cost. One of the biggest differences between DAS and femtocells, picocells and microcells is the ability to support multiple carriers. DAS systems can be shared by multiple operators, each connecting their own base stations to the shared RF distribution system. As a result, DAS allows carriers and venue owners to take advantage of neutral host opportunities in which the capital expenditure can be shared by all participants, making it more affordable. DAS solutions are also multi-frequency, able to handle 2G, 3G and 4G commercial frequencies that operate in a range from 700 to 2500 megahertz (MHz), as well as public safety 700 MHz, 800 MHz, UHF and VHF frequency bands (e.g., 150 and 450 MHz band channels). Femtocells remain exclusively a single-frequency, single-carrier solution. Multi-frequency picocells are not yet widely available but manufacturers expect to ramp up production sometime in 2015. DAS was designed to scale in order to meet the growing needs of the network. By adjusting the power to the antennas, a single BTS can serve up to about 1,800 users and provide a coverage radius of several miles. Picocells and femtocells were designed to deliver coverage and capacity over a relatively small area, similar to a Wi-Fi access point. Adding more coverage requires installing more nodes. A DAS network functions by creating a single unified cell with blanket coverage within its prescribed area. This eliminates multicell interference along with the need to hand off from one cell to the next as the user moves about. While potential exists for interference from nearby macro networks, this is easily managed by adjusting the power at the DAS headend or the power amplifiers, if they are in use. Quality of service within the DAS network, therefore, is excellent. The large capacity of a DAS enables it to be used in tightly packed venues such as sports stadiums, where 50,000 users or more may be downloading data, posting photos, etc. The system also provides the ability to dynamically adjust to changes in capacity demands per area and per carrier. Femtocells, picocells and microcells operate on a different principle. These small cell solutions create a network of discrete cells, each with a fixed and fairly limited capacity and coverage. For defined “rifle shot” applications, small cells provide excellent quality of service. Their short range and ability to detect and adjust to other femtocells in the area help to negate multicell interference. This does not mean small cell solutions are immune to service issues. When used for larger applications involving dozens of nodes, the potential for interference increases significantly. The sheer number of cells in use and the carrier’s inability to control their position and use—as well as issues with the handoff between these ad hoc cells and the overall network—create significant challenges in spectrum and interference management. Small cells can also experience interference problems when using low-band spectrum, and diminished range when using high-band spectrum. In comparing DAS versus small cell solutions, cost is perhaps the most curious characteristic of all. One argument against DAS has been high costs to deploy with RF engineers. In fact, when deployed for smaller, low-density applications, DAS may not be the best choice. The reason is simple: DAS is not designed to excel in these types of scenarios. In order to support a few dozen users and a single carrier, small cells maybe the better choice for these applications. As capacity and coverage requirements increase, the cost analysis begins to tip in favor of DAS. For large deployments, it is much less expensive to deploy a DAS for in-building coverage than to deploy dozens or hundreds of picocells or femtocells. Operating expenses are lower as well in a multi-carrier environment. The challenge for the network operator or owner is determining precisely where that tipping point is. In addition to cost, one must also consider the importance of functional needs, interference control, scalability and the other characteristics discussed here. If the wireless industry has learned anything over the past two decades, it’s that—when it comes to coverage and capacity solutions—there is no magic bullet, no one-size-fits-all solution. In selecting the most appropriate solution for a given application, it is important that network operators, mobile carriers and facility owners put aside any preconceptions. The best solution—which, in some cases, may actually call for both DAS and small cell—will be dictated by the details of the project and objectives of the stakeholders. 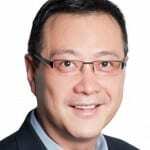 Patrick Lau is director of business development, Distributed Coverage & Capacity Solutions, in the North America region for CommScope. In this position, Patrick is responsible for coordinating sales opportunities between engineering, project management and sales teams and qualifying new in-building opportunities with wireless operators and enterprise customers. Patrick also develops marketing and sales strategies to penetrate new customer bases and verticals, providing technical training to wireless and enterprise customers, as well as our solution business partners. Patrick manages the company’s channel partners program for the wireless segment of the business.